We all have stylus pens in our pockets and bags, as if we would ever need one more stylus that rides along on the iPad without adding weight or adding another thing to carry. 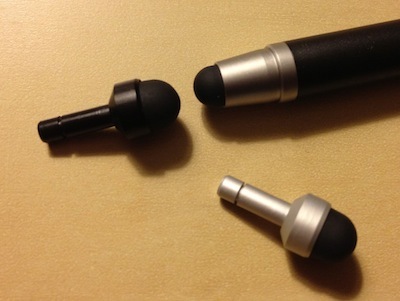 Of course, that small argument alone was enough for 8 of the MicroStylus devices to be ordered. Everyone plunked down their $9.99 US and ordered directly from MicroStylus.com. A few days later the padded envelope arrived and they where exactly as described. 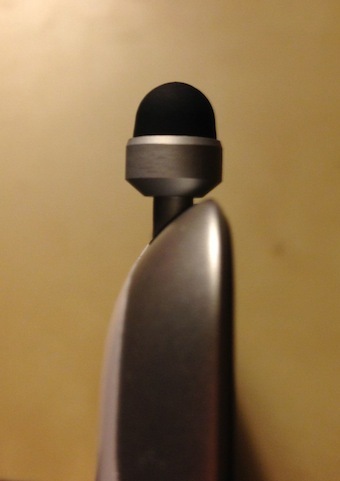 The mini, er… ‘micro’ stylus is made of metal with a rubber writing tip. 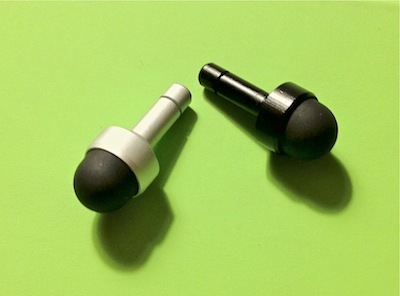 The metal, available in black or silver is nicely machined with a lock groove to slip right into the iPad (or iPhone) headphone jack. Just the top writing tip sticks out a bit above. The tip is on the softer side of the unites we have tested. The softness may be part of the tip’s ability to survive bumps throughout the day. 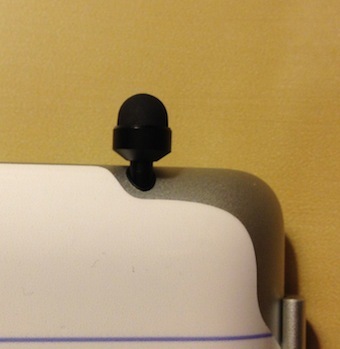 Pulling the stylus out of the iPad audio jack hole should be done via the metal outer part rather than the rubber. Several of us are looking for our old drafting mechanical pencils that had grip ends that would be fun to put these tips in when a full size stylus is needed. Below is a size comparison to the Wacom Bamboo stylus. A few team members with longer finger nails did have a slight difficulty not touching their nails to the screen when using the MicroStylus, most of us had zero issues so far using two fingers to hold for writing and drawing. All units survived a full day at the office in both iPads and iPhones, getting used mostly for conversation. 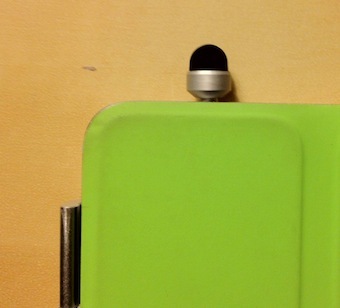 We’ll report back how the MicroStylus holds up after a few weeks.